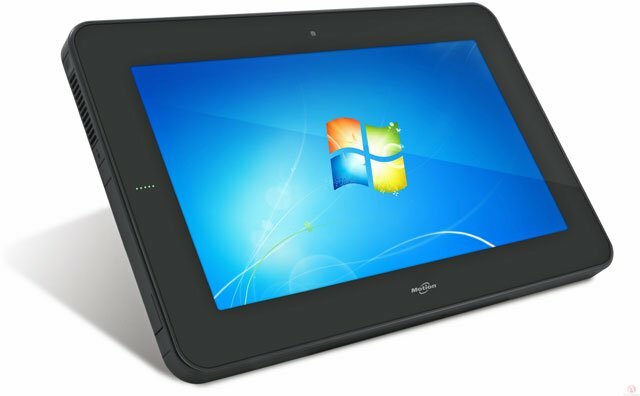 The Motion CL910 Tablet PC, a durable, lightweight and powerfully equipped tablet PC that's been purposefully designed, developed and built for mobile business. Enterprise-ready, the CL910 offers a blend of performance, integrated features and mobility. Now with the Intel Atom N2600 Dual Core Processor, the CL910 delivers increased power and performance while maintaining a battery life of up to seven hours. Weighing just 1.85 pounds, the CL910 helps every user to work faster, smarter and more effectively, providing the capabilities, applications, and ergonomic ease-of-use mobile workers need to be more productive in today's de-centralized work environments.